Velcro unit insignia in the style of US Airborne Division. 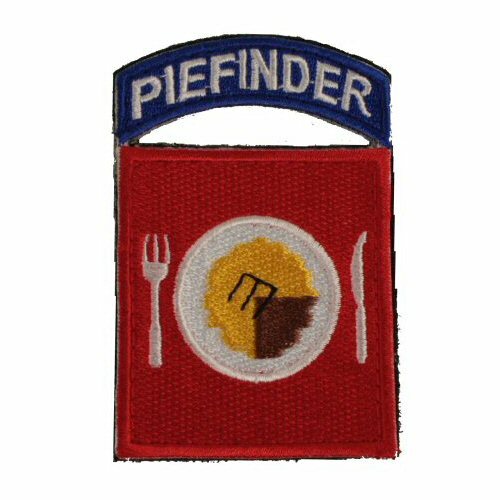 Full colour, full embroidery 'piefinder' with pie insignia. To go on shoulder or arm velcro panel. Measures 2 inches wide by 3 1/4 inches tall at highest point. To fit with ACU, Camogrom, DPM, Flecktarn and all other uniforms.